Since the start of the real Living Wage movement – championed by community organising charity Citizens UK – in 2001, the Christian community has been integral to its success. Together with trade unions, other faith leaders and community organisers, Christians have now successfully campaigned for and won over £500 million of additional wages, lifting over 150,000 people in the UK out of working poverty. 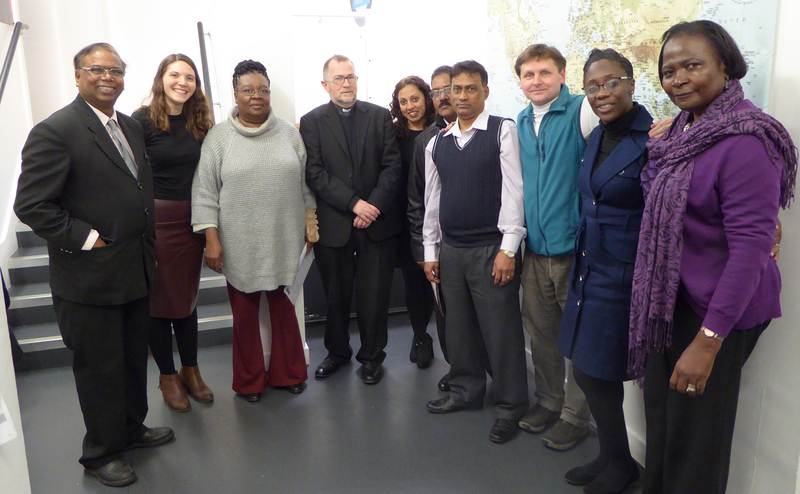 The movement began at a meeting in East London, when Citizens UK brought together churches, mosques, schools and other local institutions to talk about issues affecting their communities. Low pay came up again and again as an issue that affected almost everyone at the meeting, either directly or indirectly. At the time of that meeting, the government’s minimum wage was just £3.70 an hour. Some people were working two or three jobs and still struggling to make ends meet – it was a minimum wage, but not a wage people could live on. Father Gerard at the Catholic Church of St Anshelm led the campaign for Heathrow airport’s Living Wage accreditation. Through his determination and hard work – with a powerful coalition of other Citizens UK members and the low paid workers at the airport – Heathrow become the first airport to pay all workers the real ‘Living Wage’. Heathrow’s accreditation was one of the greatest successes of the Living Wage campaign. The airport now pays its 3,200 permanent employees, as well as any third-party contractors, at least the voluntary real Living Wage rate of £10.20 an hour for its London-based staff and £8.75 an hour for employees working at its Glasgow support centre. In 2015, the Parish of St Andrew-by-the-Wardrobe went one step further from campaigning for the real Living Wage. When the church spoke to cleaners in their parish, they found a high number of low-paid cleaners, working in less than fair circumstances. The church decided to do something: it set up a cleaning company, Clean for Good, that provides work for cleaners with decent working conditions and pays the real ‘Living Wage’. Martha Crawford will be joining Reverend Carole Challis and Jonathan Cox, Deputy Director of Citizens UK, to run a workshop at this year’s Greenbelt Festival. The workshop, ‘So you want to know how to run a Living Wage campaign…?’, will take place at 10am at the Forge Venue on Monday 27th August.